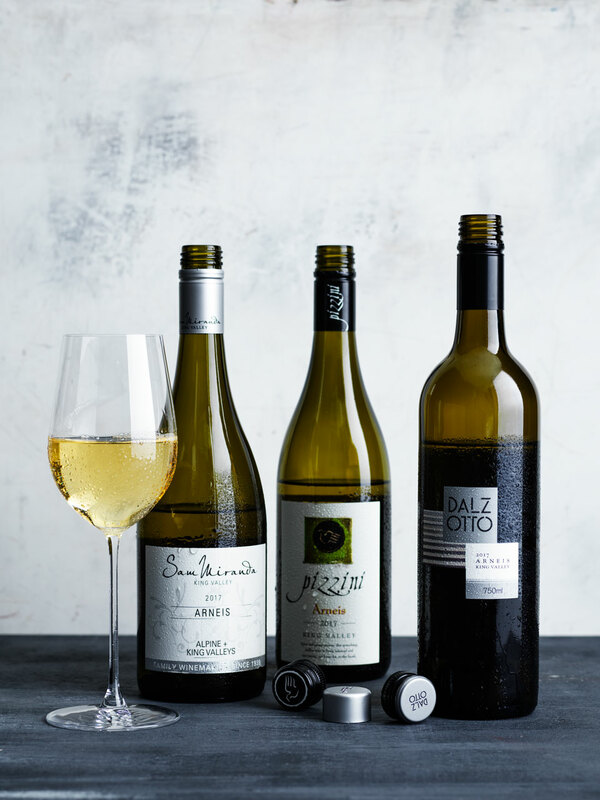 GT WINE's expert panel dives into Italian white varieties to find out who makes the top drop: Italy or Australia? 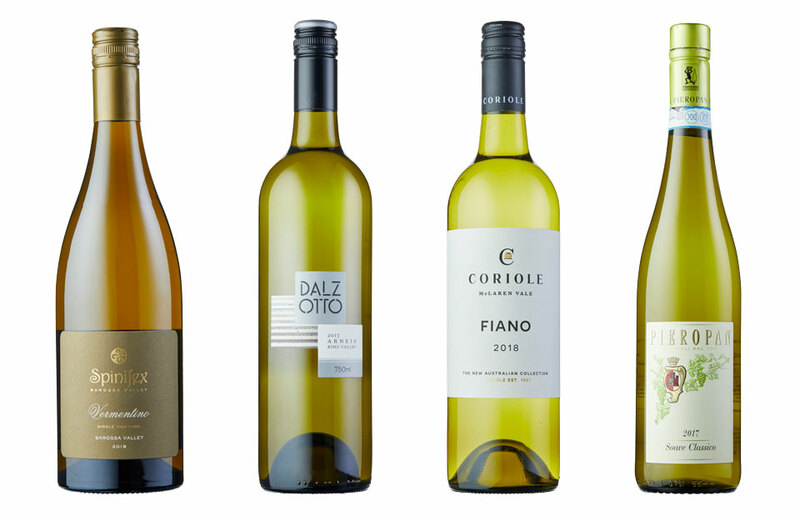 Times are good in Australia for Italian whites, with many positively flavoured examples now being imported. It was not always so. 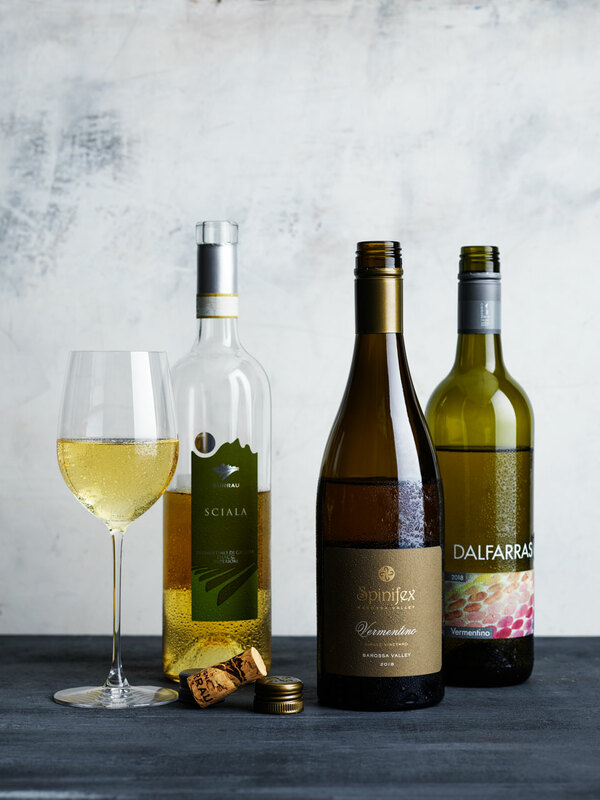 For many years the more neutrally flavoured varieties were all that were available – trebbiano (whichever of the many types we had) and garganega, for instance. These also suffered from high yields and poorer standards of winemaking – from both equipment and personnel. How things have changed! 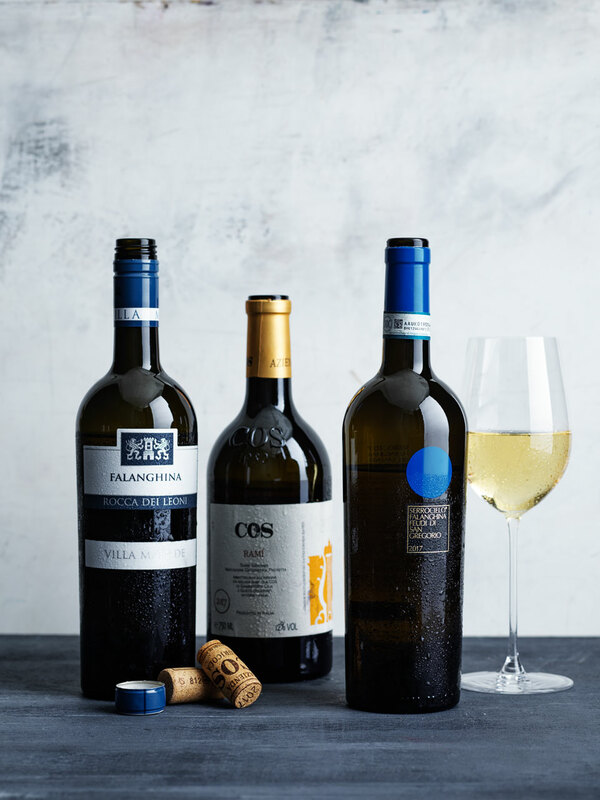 We now have a wider range of Italian wines from varieties like fiano, vermentino, grillo and carricante, all of which show real depth of fruit and all, excepting to my knowledge carricante, making excellent wines in Australia, too. There are also other highly regarded varietal wines arriving here, including for instance falanghina, which I admit was new to me. For details on all the grapes represented in this tasting I’m indebted to the outstanding book Wine Grapes, by Jancis Robinson, Julia Harding and José Vouillamoz. For me, it’s an essential reference. The wines from these varieties in Italy appear united in their use of phenolic – for which read “tannic” – textures, which can vary from light and talc-like to downright astringent, to the extent of some red wines. This gives them a little more body, greater interest and makes them good matches with food. 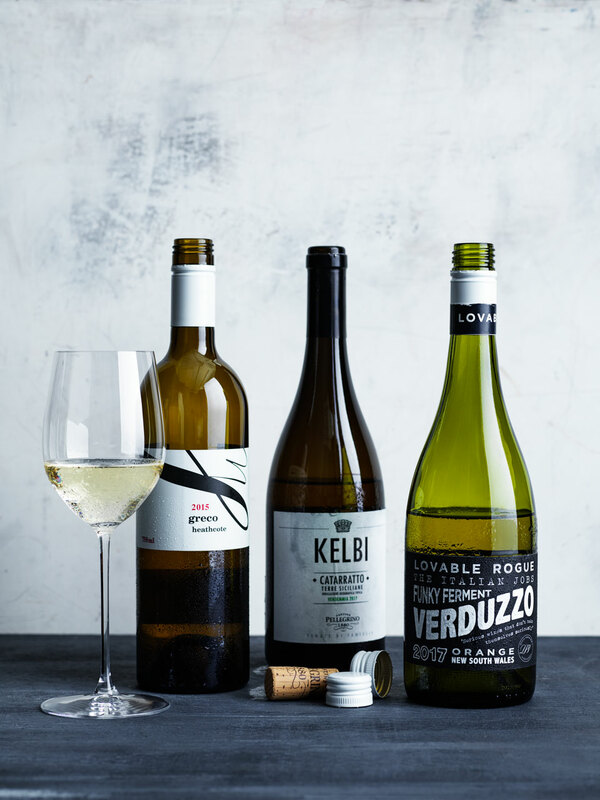 As for Australia, there is always a period of experimentation and learning with new, untried varieties as vignerons discover appropriate sites and winemakers devise the best way of showing the grapes’ positive characteristics. Look at how the quality of pinot gris/grigio wines have improved in the last 20 years. This all feeds into the greater quality of the local wines. Spinifex Single Vineyard Vermentino received a 96 from the expert panel. Our regular tasters this time were educator and writer Peter Bourne, writer and judge Toni Paterson MW and me, winemaking consultant Nick Bulleid MW. To help us assess wines that would often have a strong on-premise focus, we were pleased to welcome Aria Restaurant’s Chief Sommelier Alex Kirkwood and sommelier/proprietor of Fix St James Stuart Knox. Educator and writer Andrea Pritzker MW made up our six. The many successes varied from delicate wines with a great sense of purity through to more textured examples, sometimes with careful use of skin contact. Finally there were full-blown skin-fermented wines that would fall into place where you’d often open a red. Simply put, there are wines here for everyone and every occasion. Arneis is becoming more familiar in Australia. In the same way as viognier in the Rhône, arneis came close to disappearing in Piedmont before the rise of Barolo and Barbaresco. It’s full bodied, with flavours of citrus and pear. It’s susceptible to sunburn on exposed bunches, which can accentuate its phenolic texture. It sometimes lacks acidity. 2017 Dal Zotto Arneis, King Valley (A$27) created almost identical impressions for Knox and me. “Pale lemon colour, lift of florals and lime nose,” he told us. “Delicately framed but showing real intensity of character across the whole palate. Perhaps a light spritz as well. Drive and persistence with subtle acid/phenolic texture.” Aromatic, lemon, fine, intense, and pure were amongst my comments. Oh, and I added there’s good length, too. It’s an excellent example of the variety. 2017 Holm Oak Arneis, Tasmania (A$28) received top marks from Paterson. “Heady fruits of peach, pear and feijoa,” she began. “The savoury element is engaging and pronounced. Attractive spice. Fabulous depth and presence, with the savouriness being a defining element. Complex and satisfying. Lemony acidity on the close. Delicious!” I found the savoury notes dominated the fruit, but was in a minority of one. 2016 Vietti Roero Arneis DOCG, Piedmont, Italy (A$40) shows sweet citrus and orange blossom aromas with a touch of honey. The palate follows suit, with honeyed flavours, softness and light texture. Kirkwood told us, “aromatically showing perfectly ripe Nashi pear with a light freshness of mandarin juice. 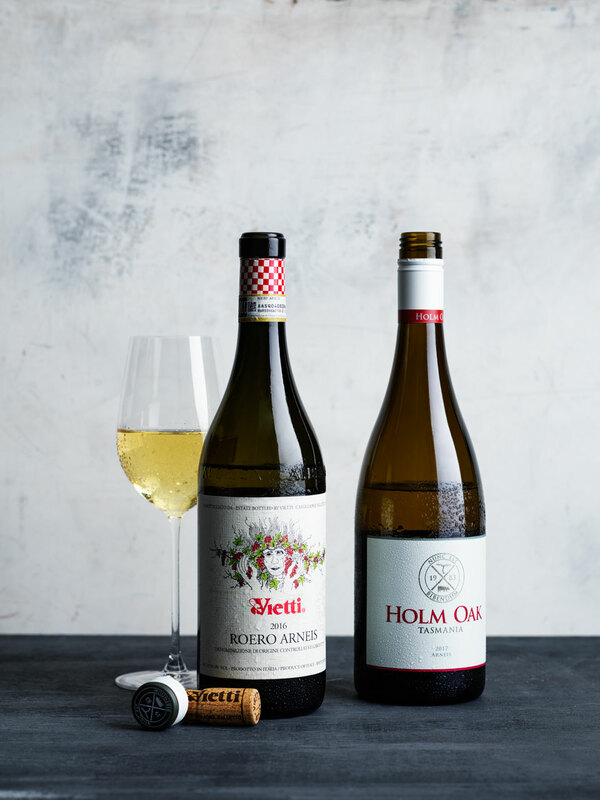 Continues with a roundness and gentle opulence of honeysuckle, a light grip and intriguing bitter phenolics.” The Vietti Roero Arneis is a great varietal example. This pair frequently appears in partnership, particularly in wines from Mount Etna. Carricante, the more highly regarded of the two, ripens late with a variety of citrus flavours and has brisk acidity. Catarratto is the second most-planted wine grape in Italy after sangiovese, almost all in Sicily and with a vineyard area surpassing carricante by nearly 200:1. It usually has less distinction than carricante, with citrus and herbal flavours. 2016 Girolamo Russo Nerina Etna Bianco DOC, Sicily, Italy (A$58) is made from mainly carricante and other local Etna grapes. It gained even support, with Paterson speaking up. “Deep straw in colour,” she started. “Hints of ginger spice and nuances of green melon. Dried citrus peel notes are a defining part of this wine, running through the nose and palate, right to the finish. Excellent concentration, depth of flavour and palate weight.” I also noted a subtle touch of aldehyde and balsamic overtones, which couldn’t subdue the big orange rind flavours and firm texture. 2017 Graci Etna Bianco DOC, Sicily, Italy (A$40) combines carricante and catarratto and, in contrast to the skin-fermented whites in my notes, uses whole-bunch pressing to obtain clear juice and purity. Bourne loved it, finding “almond and orange blossom with lemon sorbet, too. Pure juicy palate with a gently persistent finale. Top notch stuff!” I noted aromas of nougat and citrus, a moderately full body and crisp acidity to finish. 2016 Planeta Etna Bianco DOC, Sicily, Italy (A$40) is made entirely from carricante, partially fermented in large oak. Bourne was enthusiastic, telling us “delicate lemon zest, finger lime and dry chalk aromas. Phenolics shape the palate with plenty of power and lots of drive. Moreish!” It’s full of character, with marmalade, stone-fruit and savoury flavours and a firm grip to finish. 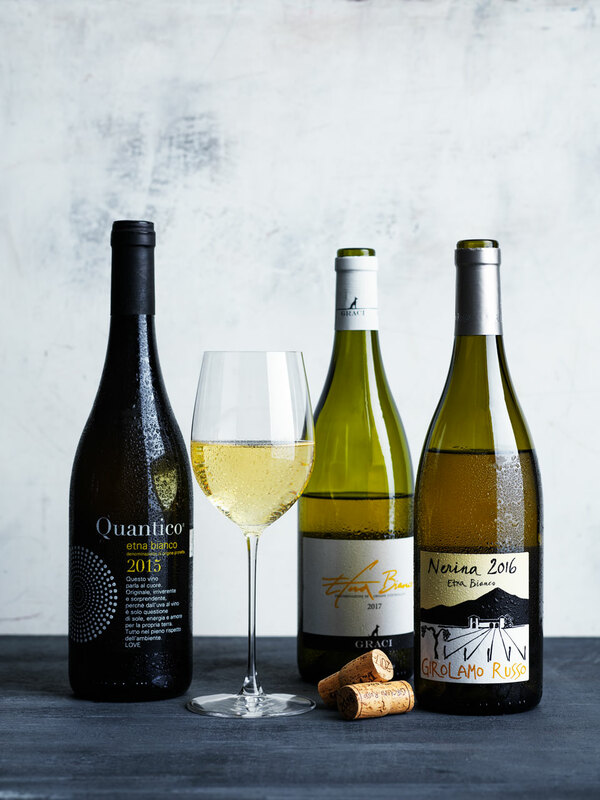 2015 Vino Quantico Etna Bianco DOC, Sicily, Italy (A$58) has a rich yellow colour thanks to fermentation on skins and having no addition of sulfur dioxide. It combines carricante, catarratto and grillo. Paterson found it “wildly expressive, with pleasing mandarin accents and attractive nuttiness. Ripe, opulent fruit. The palate is juicy and the finish is soft.” I also noted stone fruit, and a touch of grapefruit pith to finish. The falanghina showed floral and perfumed aromas. There are in fact two unrelated falanghina, both largely in Campania but planted in separate provinces. Robinson et al. suggest that it typically has stone-fruit flavours, full body and fresh acidity. 2017 Villa Matilde Rocca dei Leoni Falanghina IGT, Campania, Italy (A$30) found great support in Knox, who noted, “zippy acid, lemon/lime fruits, some green herbs and a hint of flowers. Bold palate entry with acid driving hard through to the end. Complete and focused.” As with the previous wine I, too, loved the floral nature of the nose and the delicate citrus flavours, but thought the acidity nicely balanced. Fiano was a minor variety when it underwent a revival in its native Campania around 60 years ago. It’s now more widespread in both southern and central Italy and in Sicily. 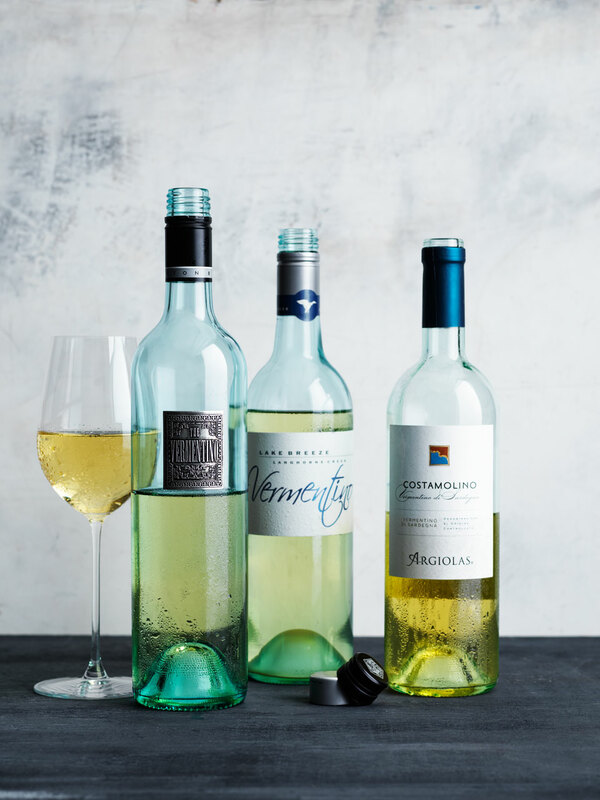 Experience in Australia shows fiano has moderately high acidity and full flavours, often leaning towards tropical in warm areas and more floral in cool ones. 2018 Berton Vineyards Winemaker’s Reserve Fiano, Riverina (A$14) gained strong points from Kirkwood, who found, “ripe white peach, pickled ginger and ripe yellow florals. The palate has lovely roundness and generous ripe nectarine and dried mango. There’s fantastic length and flavour intensity with an acid line that pulls it all back together.” I also noted an attractive touch of complexity from sulfide. Flavour, balance and good value! 2016 Feudi Di San Gregorio Fiano di Avellino DOCG, Campania, Italy (A$48) appealed strongly to Paterson, who found, “a highly complex wine with a distinctly savoury presentation. Excellent palate tension and freshness. Subtle framing phenolics. Refreshingly, it is not overly fruity. A wine with harmony and presence.” I thought the nose a little reserved at first, but it lifted to show citrus and a little orange blossom. There’s a touch of honey from development in the flavours and the wine finishes crisp and dry, with good length. 2017 Grosset Apiana, Clare Valley (A$45) has beautiful aromatics, showing fresh lemon. Bourne also found, “gooseberry, Josephine pear and feijoa with a whiff of exotic spices. Intriguing texture, fine and long.” I also noted the texture, which has a fine interplay with the wine’s crisp acidity. There’s nice length, too. 2018 Three Ponds Fiano, Hunter Valley (A$25) appealed to Pritzker, who told us, “it’s fragrant with lemon zest, green apple, and dried herbs. Fresh, crisp and lively, showing vibrant notes of freshly sliced lemon and hints of almond carried along by zesty acidity driving to the finish.” I agreed, finding it round and soft in the mouth to start, helped by light texture, and then crisp to finish. Catarratto is the second most-planted grape variety in Italy. Friulano is a local Friuli name for savignonasse, which has a chequered history. It was confused with sauvignon blanc in Chile, although it’s no relative, and was deceptively known as tocai friulano in Friuli. Herbal and almond flavours dominate. 2016 Quealy Turbul Post Modern Clarity Friulano, Mornington Peninsula (A$30) starts with a mid-gold/amber colour, which immediately suggests the wine’s character. Pritzker approved. “Highly complex bouquet of vanilla pod, grilled toast, wet stone, and freshly turned earth. Savoury, round and toasty with overt vanillin notes entwined with toast and a mineral backbone. Supple yet savoury with a long chalky finish.” I also found orange rind and nutty overtones. It’s full bodied and suited to flavoursome food, meats included. An idiosyncratic, skin-fermented wine with the mark of its winemaker. This grape has a close relationship with many white and red varieties in Italy, including catarratto and trebbiano toscano. It has the potential to overcrop and produce dilute flavours, but at its best has scented almond and lemon aromas, most famously in Soave. 2016 Cantine Prà Otto Soave Classico DOC, Veneto, Italy (A$28) got top marks from Paterson. “Juicy and bright with pleasing nuttiness," she began. “Flavours of star fruit and almond with succulent lemon. Pleasing grapefruit pith nuances on the finish. Great energy.” I liked its fresh nougat nose and the savoury complexity from solids, which adds greater interest to the wine’s sweet fruit. The finish is crisp and long. 2016 COS Pithos Bianco Terre Siciliane IGP Grecanico, Sicily, Italy (A$58) is made in amphora, and strongly appealed to Knox, who recognised its overt characters. “Clearly has extended skin contact,” he told us. “Candied ginger, north African spices like cumin and turmeric. The palate has the same spices, plus candied orange peel and ruby grapefruit. Some honey notes also. Tannins provide the framework. Great length and drive.” For all its strong flavours, acid backbone and deep orange colour, the wine’s fresh. It needs food. 2017 COS Rami Terre Siciliane IGP, Sicily, Italy (A$42) combines inzolia and grecanico. Kirkwood gave it strong support. “Deep golden colour, dried orange peel, habanero and white pepper. The palate is rather elegant and has a fantastic use of skins to give an integrated phenolic profile through the wine. Very well balanced considering the generosity and shoulders of the wine, showing length, a lovely grip and a dry finish.” I thought it very dry and savoury, with a mandarin peel aroma, but an extraordinary strength of flavour. DNA profiling shows that grillo is the result of a chance cross between catarratto and muscat of Alexandria. It is rapidly increasing in importance in Sicily, showing a full body and floral aromas. 2016 Donnafugata Sur Sur Grillo Siciliano DOC, Sicily, Italy (A$30) is fresh on the nose with a white peach aroma and lees adding barrel ferment-like complexity (although there is no oak used). Paterson also had that impression, telling us, “fresh fruit and pleasant oak overtones. Delicious flavours on the palate. Notes of ripe pineapple and nectarine. Herbs and spice on the close.” The wine’s full bodied with a pleasing texture. 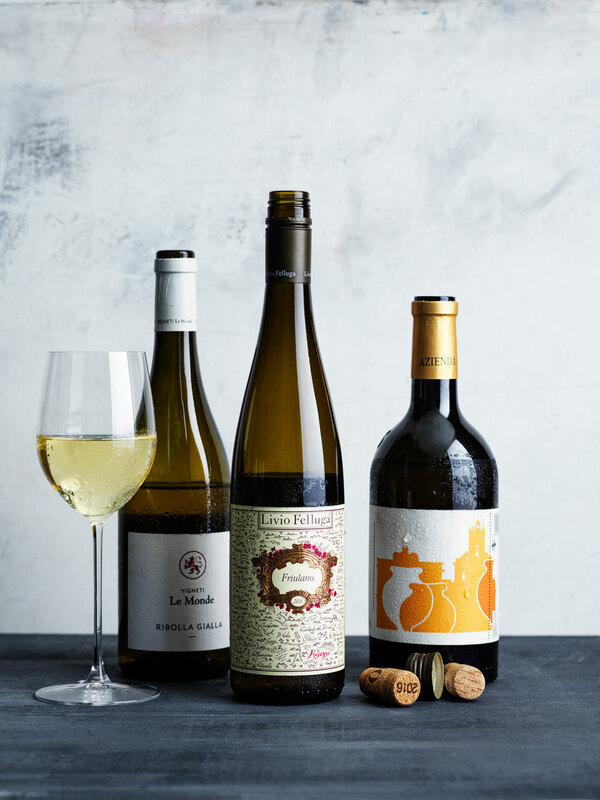 Arneis and vermentino share fruit-bearing characters. As with falanghina, there are two verduzzos, both of declining importance in Italy, where they are planted principally in Friuli. The better-regarded verduzzo friulano makes full-bodied wines, often with noticeable tannin texture. 2017 Lovable Rogue Funky Ferment Verduzzo, Orange (A$30) prompted many comments from Knox. “Smoky flint nose with some lifted florals,” he began. “White peach, stone fruits. Rounded style with attractive aromatics. Soft acid line. It slides the length of the palate gathering momentum for a peach kernel and smoke finish.” We both thought the oak from its barrel-fermentation apparent, but it fits with the savoury solids characters and positive, fresh fruit flavours. 2017 Pizzini Verduzzo, King Valley (A$28) is full of fruit on both nose and palate, the weight and roundness of the wine matching this. Bourne noted, “crushed rock and oyster shell, lemon pith and finger lime. 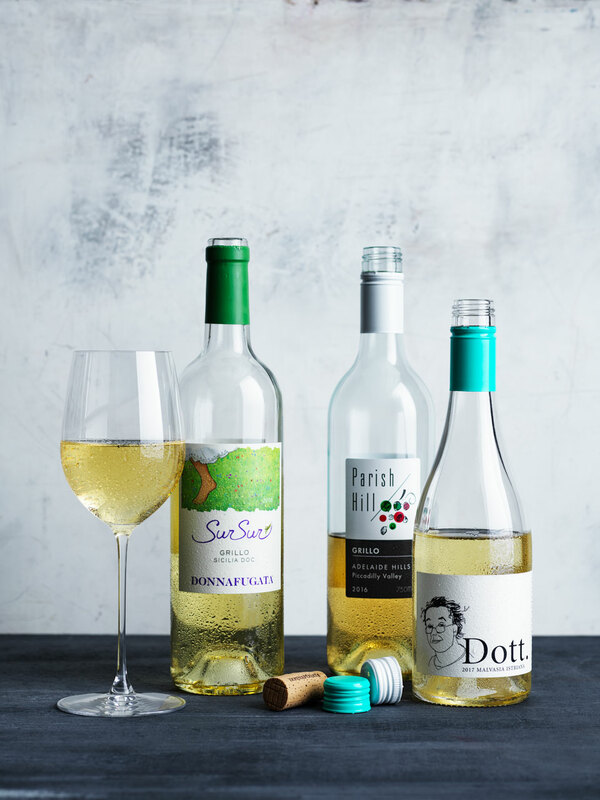 A bundle of energy, zest and drive.” I found white peach, too, and a distinct texture that is matched by noticeable alcohol. 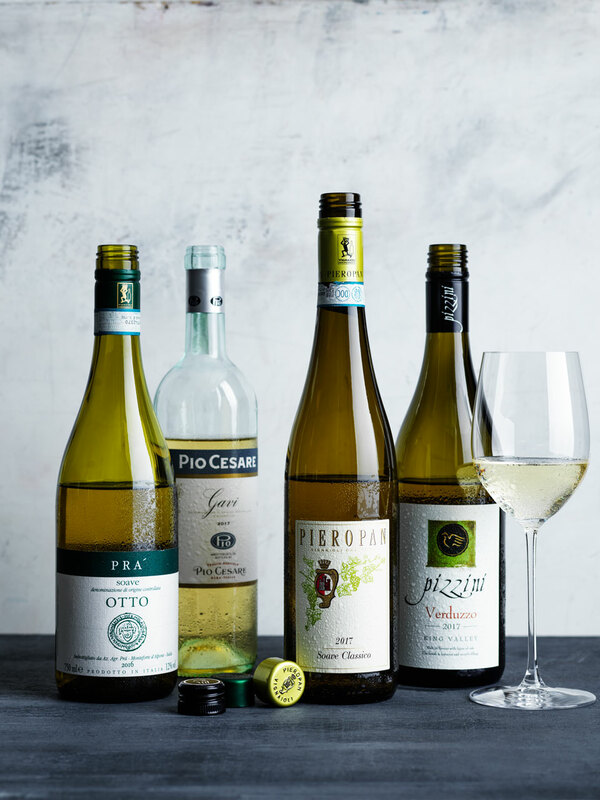 Delicate, complex, fragrant, these Italian whites have it all. Vermentino has a likely origin in Piedmont, where it’s called favorita, but has now become the Sardinian white variety. It’s also grown in north-west Italy and in south-eastern France, where it is called rolle. In Australia it’s admired for its ability to retain fresh acidity in hot areas. It is a highly flexible grape, with characters ranging from floral, fresh and lemon to fuller examples with tropical overtones. 2017 Argiolas Costamolino Vermentino di Sardegna DOC, Sardinia, Italy (A$30) found Bourne in support. “White pepper and fresh grapefruit with a touch of pickled ginger,” he said. “The palate is almost stern, with deep savoury flavours, lots of textural richness and plenty of power.” Knox and I saw a hint of corkwood, although I thought the preserved lemon flavours won through attractively. 2017 Chalmers Vermentino, Heathcote (A$27) shows beautiful purity, with a fresh lemon/lime aroma. Paterson also found “fresh pear and apple. Lovely creaminess and texture with faint oatmeal nuances. Open and inviting with good succulence and poise. Slightly chalky on the finish.” I liked the crisp line of acidity through the palate. There’s good length, too. 2018 Dalfarras Vermentino, Victoria (A$18) also appealed to Paterson, who thought it “beautifully scented, with delicate lemon zest, ripe pear and green apple aromatics. The palate is taut and snappy with excellent freshness.” There’s a subtle herbal overtone, too, suggesting lemon verbena. The flavours are intense, framed in a delicately structured palate, and the length is good. 2018 Spinifex Single Vineyard Vermentino, Barossa Valley (A$31) got high points all round. Pritzker found “a beguiling bouquet of grated lime zest, orange blossom, jasmine and bitters. Round, open and layered. Fragrant with cumquat and hints of white pepper. Shows beautiful balance with a supple mouthfeel, haunting notes of jasmine lingering to the finish.” It’s fresh, in spite of its surprisingly deep straw colour, and the touch of grapefruit bitterness beautifully complements the wine’s full body. A great example of what can be achieved with skin fermentation. 2017 Stefano de Pieri Vermentino, Fleurieu Peninsula (A$30) received top points from Knox. “The nose has some savoury notes – pastry,” he told us. “Lovely crunchy acidity with attractive lime over green papaya and oyster shell. Hints of seashell briny notes. Fine-boned and persistent palate. More layers of complexity than some examples.” I agreed that lime was a great marker for this wine. Its combination of freshness, delicate fruit and a light grip on the finish was beguiling. 2016 Surrau Sciala Vermentino di Gallura Superiore DOCG, Sardinia, Italy (A$46) shows nutty development on the nose together with preserved lemon aromas. It’s full bodied, with warmth and weight from alcohol and a beautifully balanced texture. Kirkwood found “lifted sweet florals – lemon and honey blossom, white lilies. Some fruit sweetness intertwines with a lovely use of phenolics to give a fantastic frame. A bright acid line through the palate drives the wine which is packed full of flavour." 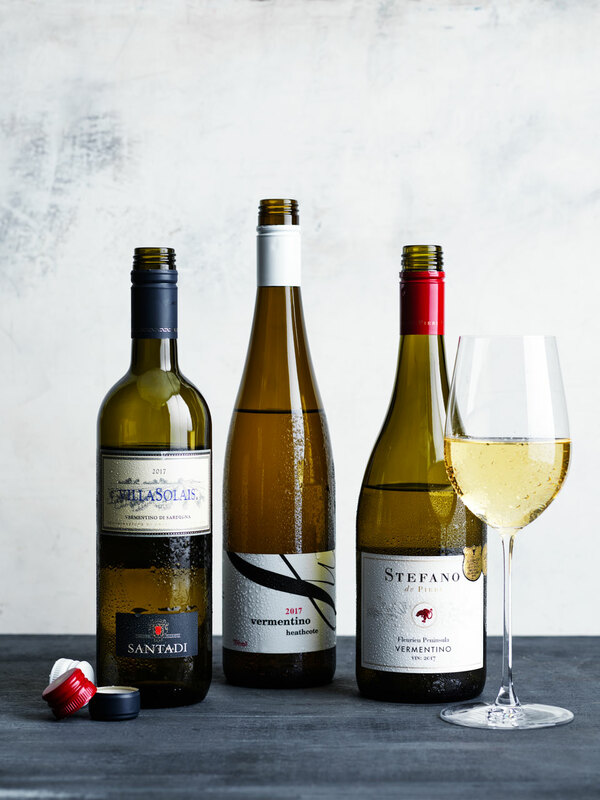 There's a variety for any occasion in the wide and diverse Italian whites. ‍There are many grapes using the name malvasia, but DNA profiling shows these to be mostly unrelated. Malvasia istriana is an important grape, grown in north-east Italy. Robinson et al. suggest istriana has more distinguished flavours than other types. ‍A late-ripening grape from Campania. It makes lightly aromatic, full-bodied wines. Greco di Tufo is the most famous. ‍This has quite limited distribution, but is important in Piedmont, with Gavi its most notable wine. It has fresh lemon scents, at times light footed and others full bodied. ‍This minor variety is found either side of the Italy/Slovenia border, most importantly for Italy in Friuli. Robinson et al. report a light, slightly floral wine with high acidity, roughly agreeing with our comments below. 2015 Chalmers Greco, Heathcote, (A$29) found favour with Knox, who told us it has “a waxy, lemon nose. Ripe lime and lemon with some white flower notes. Chalk and stone savouries, weight and power through entire palate, with acid and phenolics framing it well.” I was intrigued by the contrast between nose and palate, the nose intense and fine before the drying texture and crispness kick in towards the finish. * Garganega and grecanico have been shown to be the same variety.